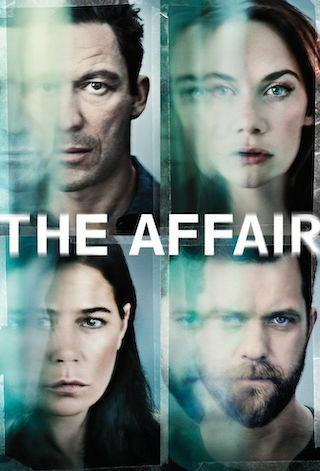 The Affair is an American 60 minute scripted romance television series, which kicked off on October 12, 2014, on Showtime and is broadcast every Sunday at 21:00. The show is currently in its 4th season. Showtime has officially confirmed the renewal of The Affair for Season 5. The exact release date is yet to be announced so far. Sign up to track it down. Noah is a New York City schoolteacher and novelist who is happily married, but resents his dependence on his wealthy father-in-law. Alison is a young waitress trying to piece her life and marriage back together in the wake of a tragedy. The provocative drama unfolds when Alison and Noah meet in Montauk at the end of Long Island. November 9, 2018 - Oscar® and Golden Globe® Award winner Anna Paquin has signed on as a series regular for the fifth and final season of the critically acclaimed SHOWTIME drama series, THE AFFAIR. Paquin will play a pivotal role as Alison and Cole's now adult daughter Joanie Lockhart, who returns some years in the future to a climate-change ravaged Montauk to piece together the truth about what happened to her mother, bringing the whole story full circle. The Golden Globe winning drama series, created by WGA Award-winning playwright, writer/producer and showrunner Sarah Treem, and executive produced by Treem, Jessica Rhoades, Hagai Levi, and Michele Giordono, will return to the network in 2019. Currently in production, the series explores the emotional and psychological effects of an affair that destroyed two marriages, and the crime that brings these individuals back together.